At the beginning of March and before the Eurogroup meeting, where the decision will be taken whether to disburse the sub-tranche of the profits from the ANFAs and SMPs – close to EUR 1 billion – the course of Greek GDP for the 4th quarter of 2018 and the whole of last year will be announced. With the reflection on the course of European economies being real, the Greek government wants a good result within the forecasts to send a message of “resilience” of the Greek economy. This year’s budget is anticipated to close at a rate of 2.1% in 2018, a little higher than the forecast of the European Commission, the IMF and the Bank of Greece (from 1.9% to 2%). To confirm the Treasury’s estimate, the fourth quarter should close at + 2.1%, while in absolute numbers the fourth quarter should contribute at least EUR 47.3 billion (at market prices and based on non-seasonally adjusted data) against EUR 45.483 billion, which was the corresponding performance in the fourth quarter of 2017. In the 9-month period, the Greek economy reached its annual target as the economy grew at 2.1%, while the 9-month GDP stood at EUR 138.34 billion – at market prices and based on non-seasonally adjusted data – compared to EUR 134.734 billion in the same period last year. Thus, for the 4th quarter, EUR 47.3 billion are needed, compared to EUR 45.48 billion last year. Whether this performance will be achieved will depend heavily on December’s financial performance, the figures for which are expected in the coming weeks. 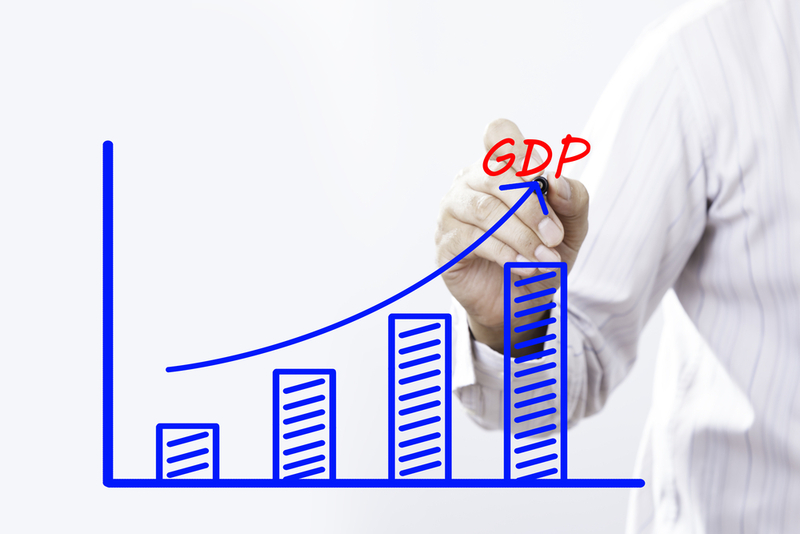 The economic staff in optimistic that GDP will be based on private consumption in the fourth and last quarter.